Happy Friday!!! 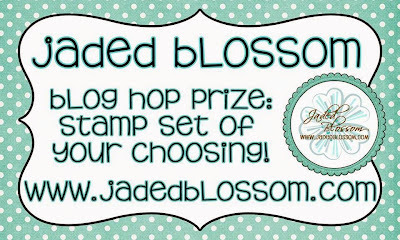 Thank you so much for joining us in celebrating Jaded Blossom's 5th Birthday with a die release blog hop!! If you are here from MELISSA then you are in the right place. 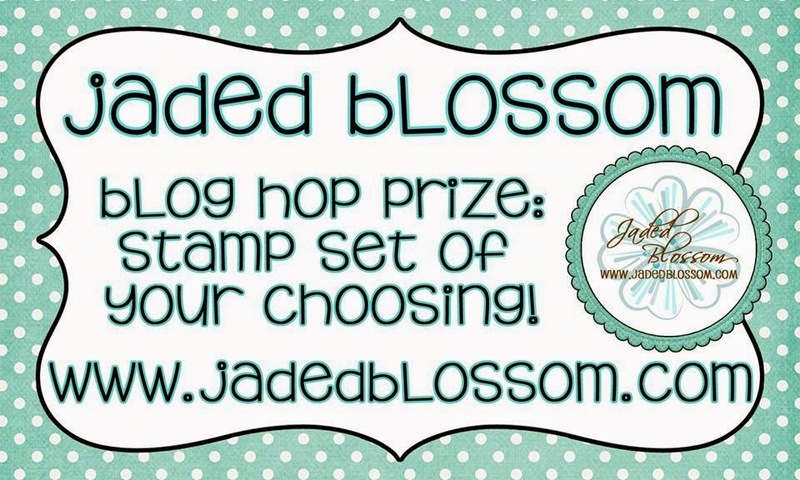 If not please visit Jaded Blossom to start at the beginning. And here is what I made! For my first project I made a little tag on one of my secret santa items. I LOVE LOVE this hexagon shape! It was perfect for my deer die from Christmas Dies 1. I used my versamark ink pad and inked the whole deer, then put bronze glitter embossing powder on it and embossed it. I LOVE this technique for dies. It really adds soo much more to the project. 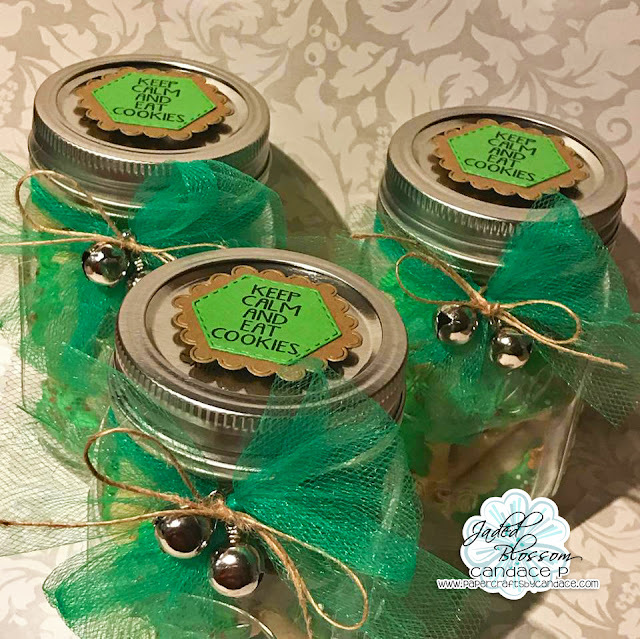 And since its Secret Santa week at work I also made some mini sugar cookies and packaged them up real cute in mason jars! Then I added some tulle, twine, bells and cut out some hexagons to put on top. I used Gingerbread Wishes for the sentiment. 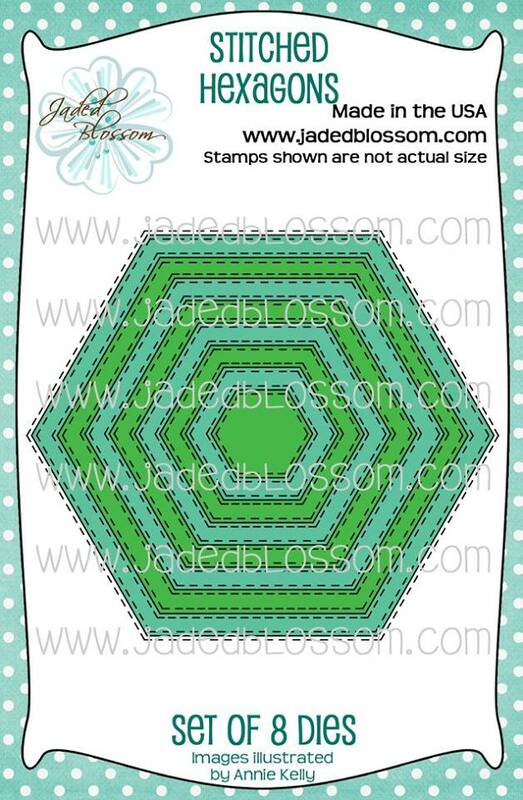 I also made this card using the new hexagons card mat dies and the new word dies! The blog hop is over! Click HERE to shop! Your card is very pretty! LOVE the design! And what a CUTE way to dress up the Mason Jars! I agree the hexagon shape adds so much style - your tag is beautiful and Elegant! They are all great prizes but the Christmas Tag is my favourite......LOL, I;m sure your Secret Santa gifts won't be a secret! outstanding job ! the card is just beautiful! These does are so versatile and this project gave me so many ideas. Thank you. Wow!!! These dies are so awesome!! Thanks for all the inspiration, you projects are incredible!!! Absolutely love the cookie jars!!!! Oh my gosh, such fun ideas and great way to showcase the new dies! Love your creativity and awesome new product!! 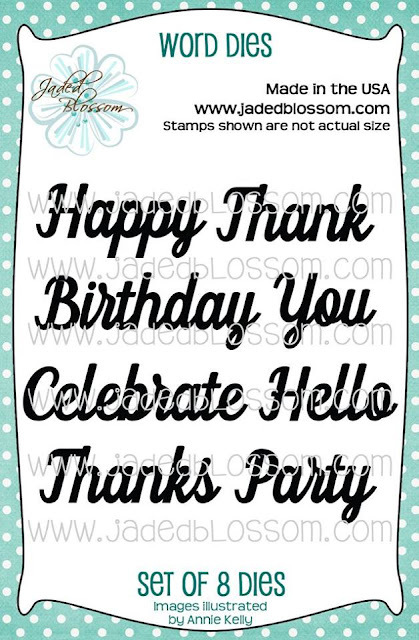 Love your ideas with the new dies! Fabulous!! Adorable projects! I love your mason jar tag! The jars are so cute! Thanks for the inspiration and for the opportunity to win! Awesome! Everything looks so great! Love all three ideas, Candace. The deer tag is really special. What cute projects! Love the glittery reindeer! Cute projects!!! Love all of the inspiration! Wow! Your projects are awesome. 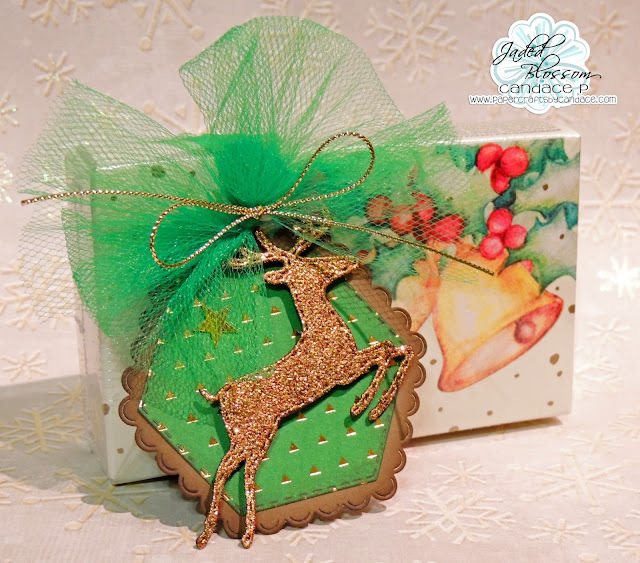 Beautiful deer tag and love the hexagon card. Cute jars with the bells, too. Thanks for sharing your wonderful ideas. Gorgeous!!! that card is amazing! Loving all the hexagons and that gold deer really grabbed my attention. Awesome job! Wonderful projects. Love the use of the bronze glitter embossing powder.